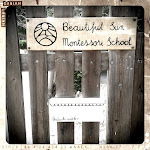 Beautiful Sun Montessori: Start again, with a calm and quiet mind. Start again, with a calm and quiet mind. Today I started for the 15th time what I do. Eight new children to meet on this first day that always begins with so many questions. "Who are you?" "What will you have to teach me?" "How will our time together be?" I was able to sleep soundly last night, which to me is a sign of growing in experience and trust. In a podcast I listened to last night, the meditation teacher said "If I can control my mind, what need is there to control anything else?" I take comfort in knowing that the best preparation really is a clear presence. I have done this enough that I can give myself that kind of space, besides, I simply can't know what the children coming will be like or how they will respond to the day. I like the idea that the first days with the new children are mostly a time to observe them, to gently meet them, and hopefully for them to sense that this place they have come to is a safe place to be who they are. It's a celebration to start again. I am grateful to do what I do. 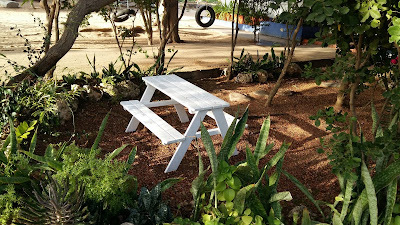 So glad to see a new post! Looking forward to reading more.